Congrats to James B. and Dave G. for winning the club lounge passes, from Friday's Giveaway for 2 American Airlines Admirals Club Lounge Passes and 1 United Club Lounge Pass. I'll be reaching out to them for their addresses so I can send them their passes. Thanks everyone for participating, and if any of you at some points have extra club lounge passes you won't be using and would like to give them away to a lucky TravelSort reader, please let me know. Thanks again to readers Mark and Melissa who donated these ones. 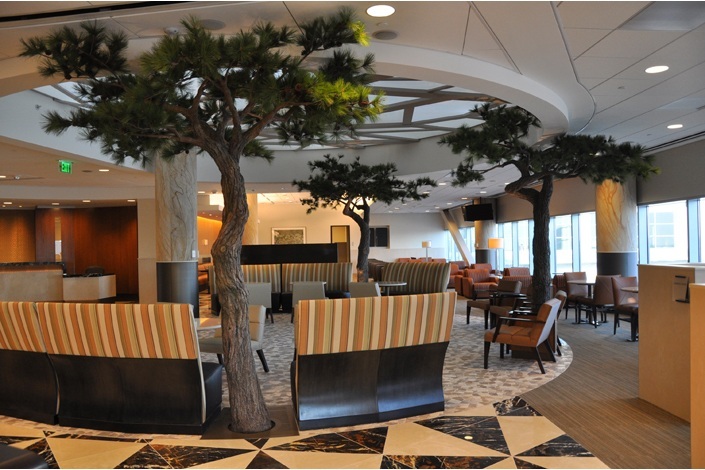 Also, just a tip for those that do have frequent need for the American Airlines Admirals Club Lounge: you receive access if you're an AMEX Platinum Cardholder. While the $450 annual fee is steep, you can Maximize the AMEX Platinum Airline Fee Credit to receive $200 off American or United airline tickets per calendar year, for a total of $400 off in your first year of having the card, plus get your $100 Global Entry application fee covered. That's $500 in benefits in your first year, so it may make the card worth it to you. If you enjoyed this, please follow TravelSort on Twitter or like us on Facebook to be alerted to new posts.